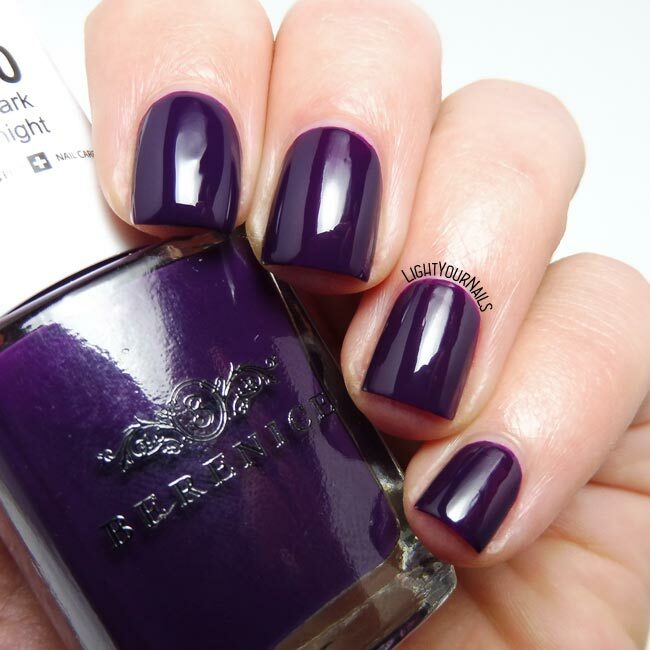 Berenice 20 Dark Night | Light Your Nails! 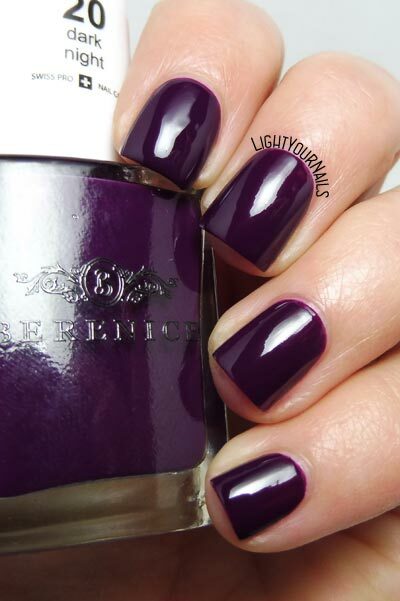 Today I am sharing with you swatches of a Berenice Beauty nail polish I won on Instagram. 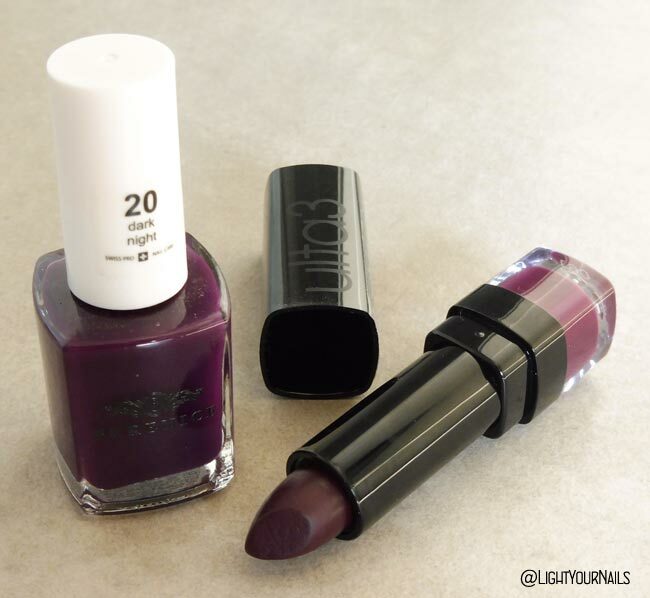 Berenice n. 20 Dark Night is part of the core collection of this Suisse brand, which is known for its breathable nail products. 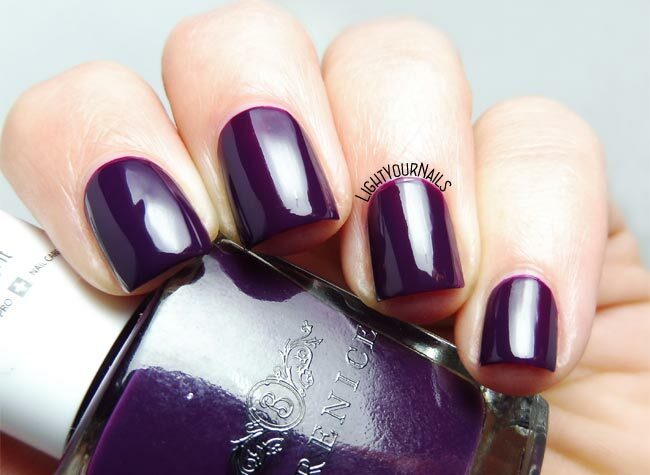 It’s a purple crelly which means the colour is not opaque but semi-jelly and super glossy. Application is easy and drying time is slow. You almost can’t notice from the photos but there are some bald spots on my nails. That didn’t bother me this time because I really love a good crelly. If you are into full coverage though you have to go for 3 coats and definitely need a quick drying top coat. You can find more info about Berenice Beauty in my Berenice 06 Pink Secret blog post or on their web page Berenice Beauty. E' bellissimo questo colore, davvero!! Mi piace proprio anche l'effetto che ha! Grazie Emanuela! Piace tantissimo anche a me!